My name is Becca, and I have a little ol' blog named "Adventures in Decorating." I was truly flattered when our *oh so* savvy, witty and talented Kim asked me to be a part her fabulous "My Favorite Room" series! Thank you, Kim ... so glad to be here! and add a chalkboard to an otherwise plain pantry door for a bit of character. Our kitchen is also a room where I can have face panels added to a "basic builder" island, followed by adding a new butcher block countertop, farmhouse legs and painting it Annie Sloane's Old White chalk paint, followed by her Chateau Grey! What can I say? I'm a just a *tad* bit obsessed with chalk paint! Even our "EAT" letters got a dose of Chateau Grey, too! 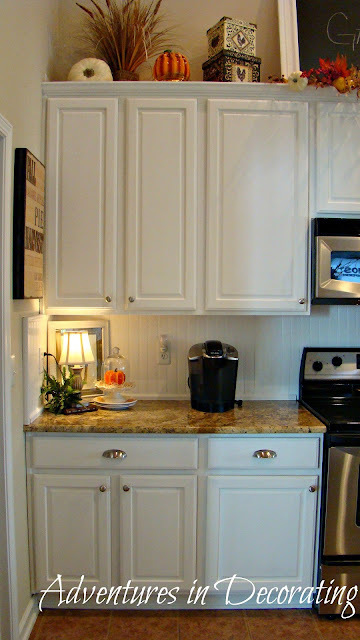 I also love our kitchen because what you don't see in the picture below is that this is the place where I blog and connect with all of you! Yes, that *clean* table is usually filled with papers, a laptop and one crazy lady (me) who stares at her computer with glazed over eyes *way* too often! Thanks so much for visiting my favorite room and, Kim, thanks again for allowing me to be a part of such a great series! Thank you, Becca for sharing your wonderful kitchen. I do love all the details and the Chateau Grey paint which I am probably going to use on some of mine. I was lucky enough to meet Becca in person at the Southern Bloggers Conference and she is just like what you see on her blog and facebook and ever so sweet. 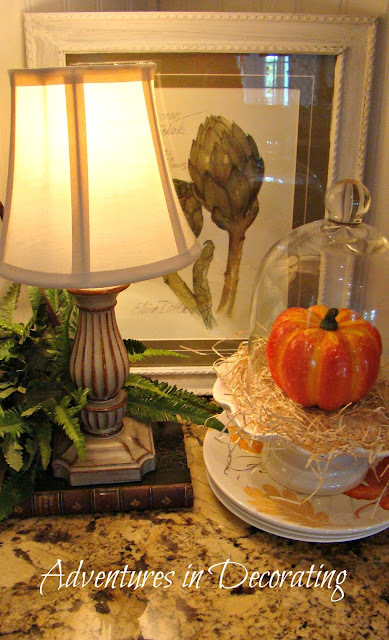 I hope you will go over and visit Becca at her beautiful blog Adventures in Decorating. There is so much more to see so get comfy. Becca, I can see why Kim is featuring you! Your kitchen is gorgeous, but I especially love the breakfast nook!! 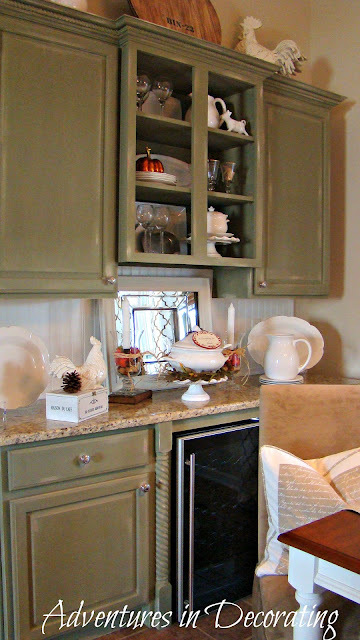 The way you painted your cabinets that aged Chateau Gray with those dramtic curtains, and the EAT sign....love it all! Thank you Kim for sharing Becca with us! What a wonderful kitchen! Love the island and the beadboard backing..
Becca I love your kitchen!! The family tree is a fabulous idea. 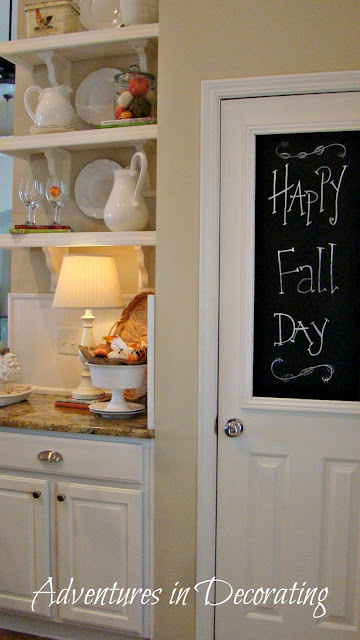 I might "need" to copy the pantry door chalkboard. I love your kitchen, too, Becca! You have done some wonderful changes in here. Your shelves and island are my favorites. 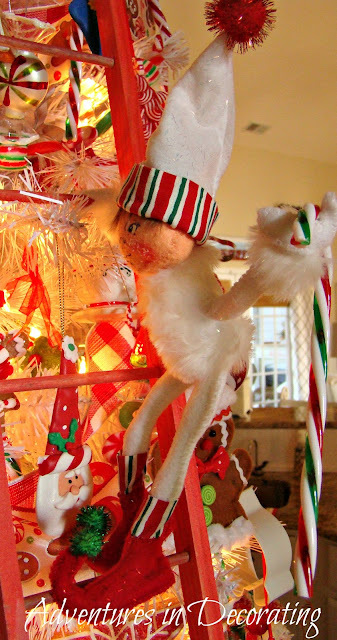 Can't wait to see your Christmas decor. I know that it will look wonderful, as always. Thanks for sharing Becca's favorite room with us, Kim. Kim... Thank you so much for introducing me to Becca and her blog. The kitchen is so beautiful and warm. So funny that Becca does all her blogging at the kitchen table. I do too even though I have a den upstairs with a desk and another built in desk in my kitchen. I will definitely tune into Becca's blog! Have a great weekend! Becca has a fabulous Kitchen and awesome style and taste:) Love that girl! 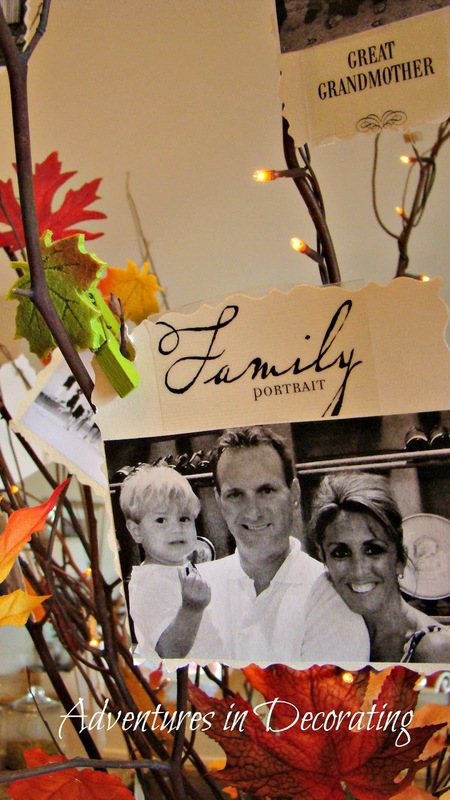 I love Becca's blog! One of my favorites. Her kitchen is my "dream" kitchen. Love her style! 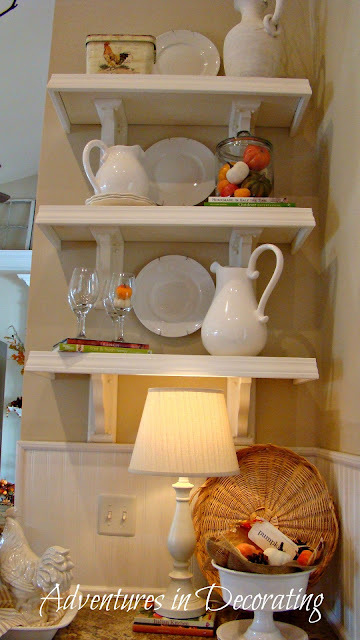 I love Becca's blog...lots of inspiration here....love the shelves and island in the kitchen! Thanks...I'm going to check out her blog now. 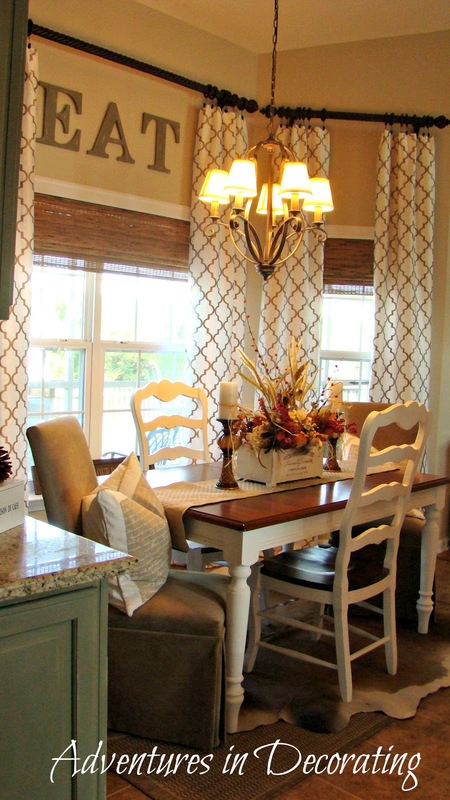 Kim, Becca's kitchen is stunning! She always has the best ideas! That girl can use hot glue like no one else! Thanks for sharing this amazing kitchen! Thanks for the great kitchen tour! wow, great feature. 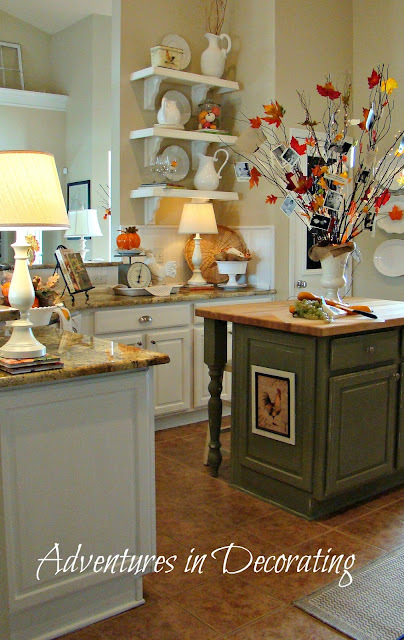 I love her kitchen and I'm off to check out her blog. Kim you probably owe me an hour cause I'm sure I am going to love it! Absolutely gorgeous! I love so many of the details, I can't even name just a few! Fabulous tour, Kim! I love everything that Becca does! She's awesome! I love that family tree. I may borrow that for next year:) Love Giving Thanks! Love Becca's kitchen! She has such an eye for detail. 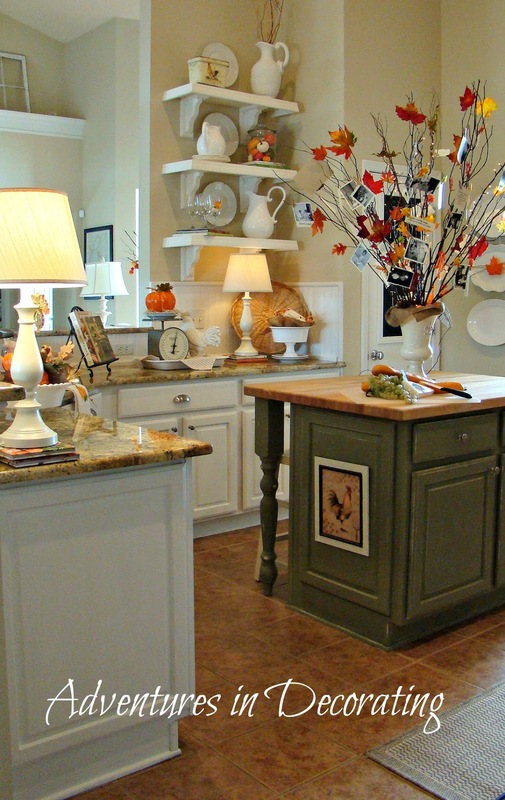 what a wonderful kitchen.....love the island! Hi Kim, I'm so glad you shared Becca with us! I'm heading over to her blog now. Thanks! Becca has a fabulous kitchen!! Love her blog! I already read her blog. Love her kitchen! Hi everyone ... just dropping in to say thank you again to Kim! And, thank you to all of you for your kind comments, which I truly appreciate! 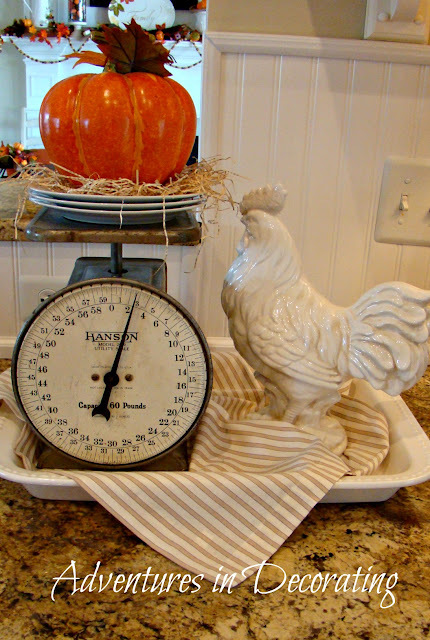 Becca is definitely not alone - I love whimsy in the kitchen too! 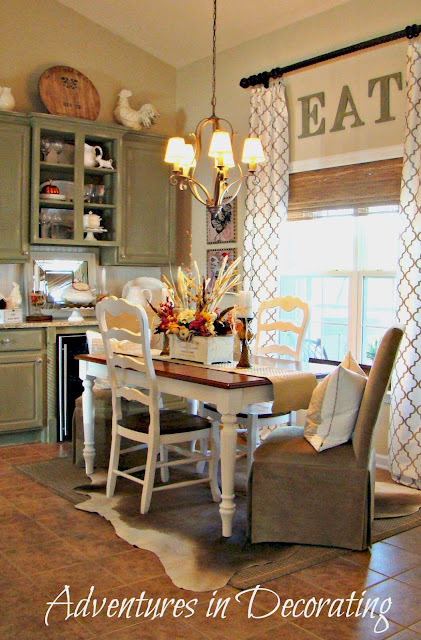 Her kitchen is fabulous - love the cowhide rug! Becca...I think this is the first time I've seen your kitchen and I love everything! You always pay attention to the details. Love your paint colors and your island is wonderful! Can't wait to see what you're up to for Christmas! Thank you Kim for sharing Becca's beautiful home! oh my, I do love her center island with that color on it, but all my furniture already has several layers of paint all ready! Beautiful, Becca! I love all the white and your fearless decorating solutions. Thanks Kim and Becca for the wonderful feature. Becca's kitchen is very beautiful. Becca's warm personality shows through in her decorating. The changes she has made in her kitchen (and her entire house) are amazing. I'm so glad I got to meet her last month! I love Becca's style and her kitchen is so well done. Becca's kitchen is wonderful! I can easily see why it is her favorite room. And you're right, Kim, she is just as warm in person as she is online. LOVED meeting her (and you!) at the conference! Loved seeing the tour of her wonderful home! It's beautiful, warm, and inviting. It's a smiling kitchen, it's happy. What a beautiful kitchen, I love all the touches. That kitchen is just so beautiful. I love the green, the white, the beadboard detailing . 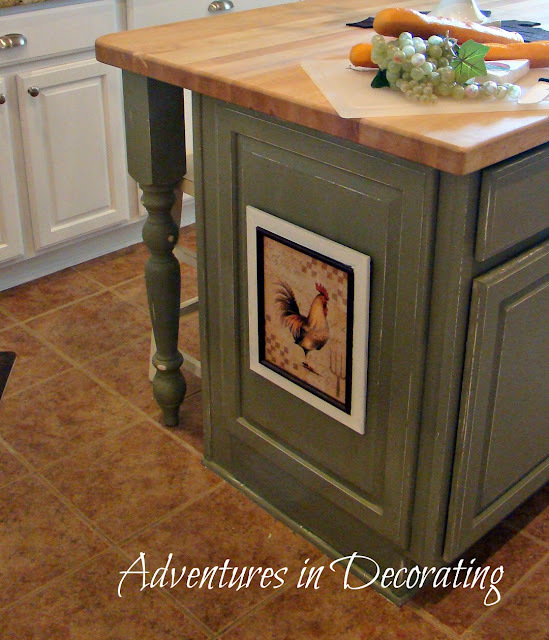 . .
Becca is a sweetheart, I love all the changes she made to her kitchen! Heck, I love everything about her beautiful home!! Great feature Kim!! 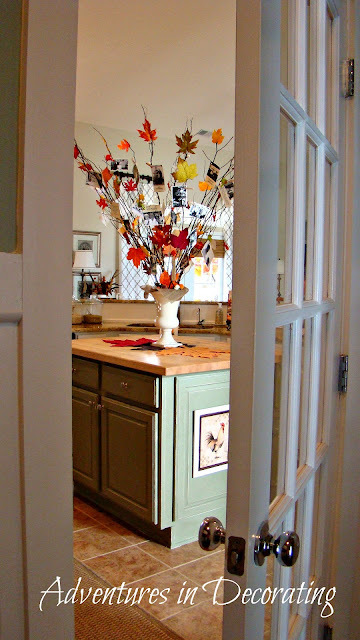 Great post, your kitchen is so charming. I love a girl that can cut some bead board and glue gun at the same time! Chateau Grey is one of my favs also. Love the kitchen! Do you remember where you found your curtain panels?? This was a guest post and you can probably ask her, but she has moved and this post is several years old.